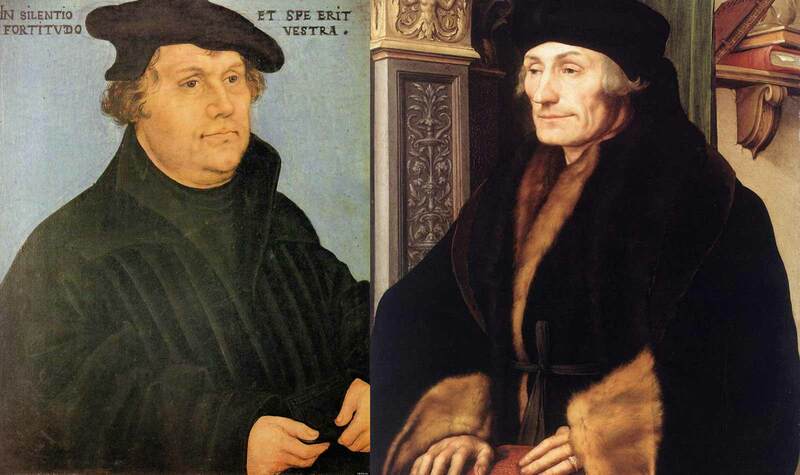 Luther vs. Erasmus: When Populism First Eclipsed the Liberal Elite – Sig Nordal, Jr.
February 20, 2018 Sig Nordal, Jr.
Erasmus was an internationalist who sought to establish a borderless Christian union; Luther was a nationalist who appealed to the patriotism of the German people. Where Erasmus wrote exclusively in Latin, Luther often used the vernacular, the better to reach the common man. Erasmus wanted to educate a learned caste; Luther, to evangelize the masses. For years, they waged a battle of ideas, with each seeking to win over Europe to his side. But in a turbulent and polarized age, Erasmus became an increasingly marginal figure: the archetypal reasonable liberal.